Do you ever struggle with follow through? 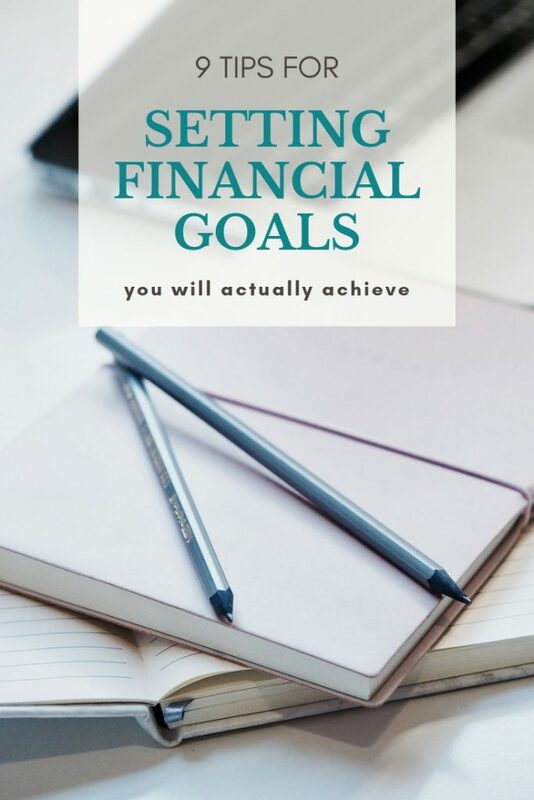 Setting financial goals sounds like a great idea, but sometimes it can be difficult to actually accomplish those goals. 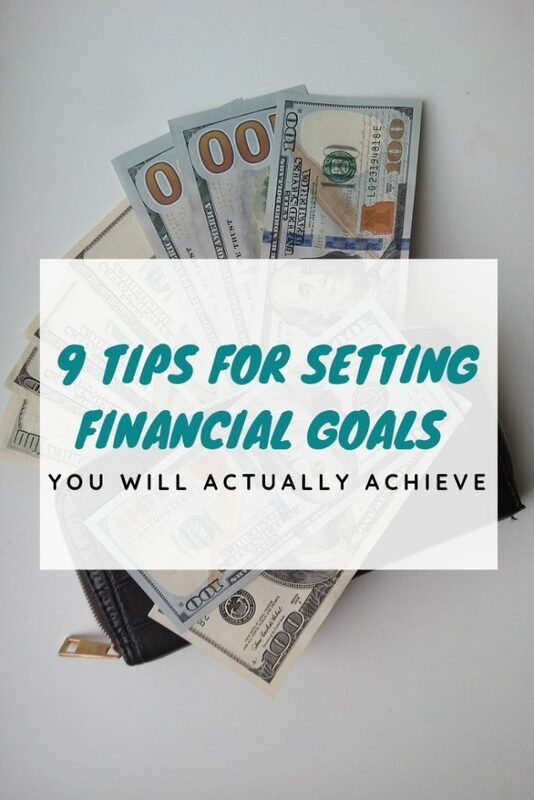 I want to help you out with some simple tips for how to set financial goals AND actually accomplish them. One of the big financial goals we set several years ago was paying off our house. It felt huge and a little scary, a little exciting, and a lot “I can’t believe we are doing this”! Since we achieved that milestone 3 years ago, a lot of our financial goals have been house projects and of course the always the need to put aside money for things like “new” vehicles when the time comes. 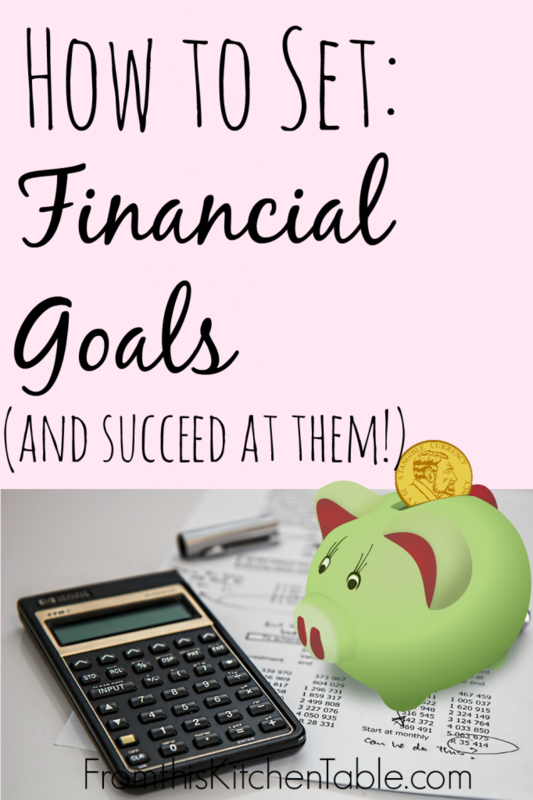 If you need help coming up with financial goals you could set, here is a great list of ideas! I’ve found have a goal and a plan to be key actually getting things done. 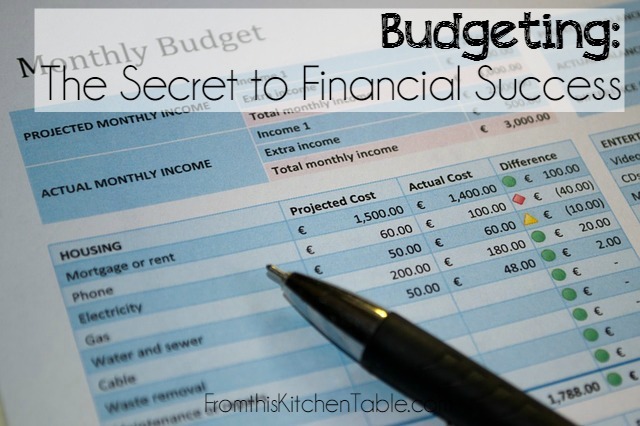 If you don’t have a budget you need to start there, because I really do think a budget is a key to financial success. 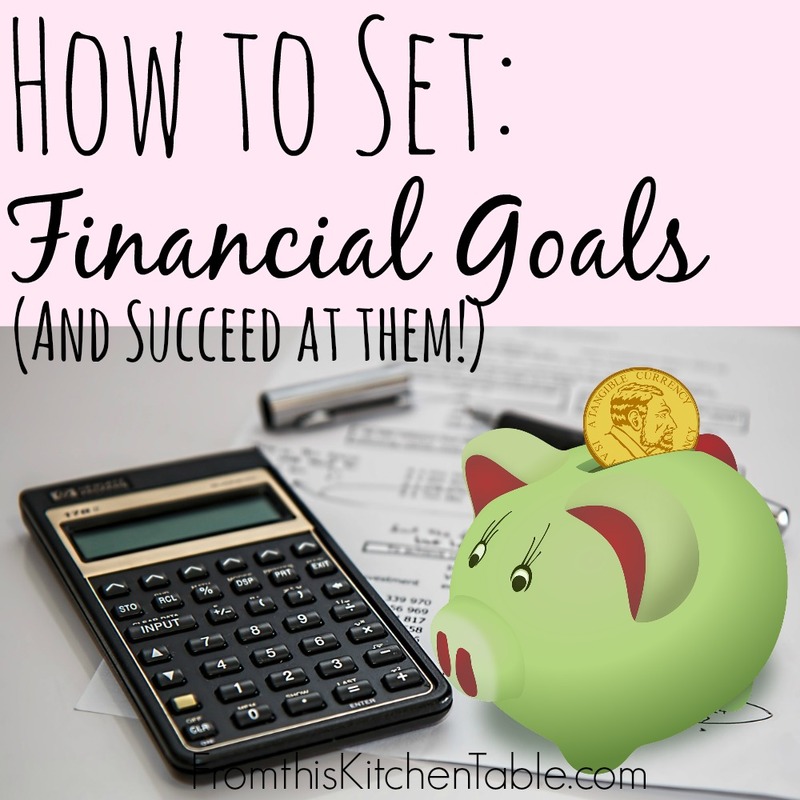 Now, I’m going to share some great suggestions to help you with setting financial goals for your family. 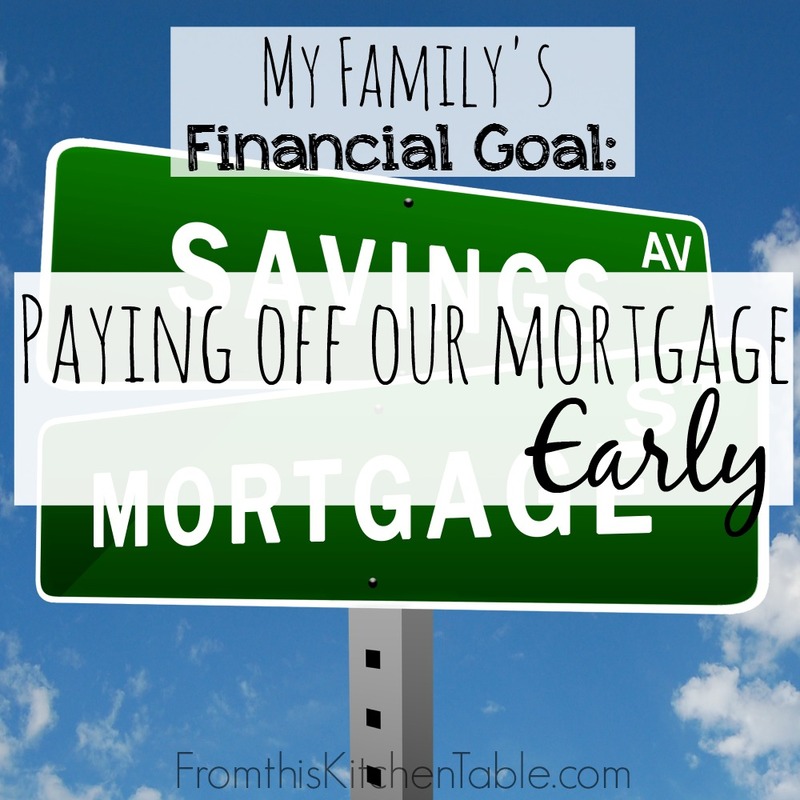 I’ll also share some of the process we went through when deciding to pay off our mortgage early. Sit down with your spouse and discuss big saving projects you have or any debts that you need to pay off. Let me give you a recommendation here. If you don’t have an emergency fund, start there! Dave Ramsey says $1,000 but I’d highly recommend $2,000. If you have an emergency fun be sure to tackle any debt (besides your mortgage) next. After you both of those things are done, look at bulking up your emergency fund to 3-6 months of basic living expenses before you move on to paying of your mortgage or other savings goals. We were debt free with the exception of our mortgage. We had recently purchased a new to us mini van and still had a little money in a car fund that we continued slowly adding to in case our other vehicle needed replaced (with an inexpensive vehicle). Our emergency fun was fully funded emergency funded and we have no known major expenses coming our way. Yes, our retirement fund and kids’ college accounts could have also use more but we went for paying off the mortgage knowing that not having that would free up more money to budget with each month. What is the total dollar amount needed? Rework your budget or find a side job and see what money you can throw at it. When do you think you can have your goal accomplished? When we knew paying off the house was a huge goal of ours, I spent some time looking at the numbers. Seeing how much time we had left paying off the house as is and then seeing when we’d be done if we put all of my paychecks and extra money towards it was motivating. Seeing the numbers and looking at dates on the calendar made it seem real and possible! It can be easy to get stuck in the planning stage! Don’t do that. Move through the first 3 steps quickly and then pick a start date! Decide when you are going to start and just do it! Big goals are hard (and often seem scary). Sometimes you just have to make yourself go for it. Maybe you will start today, maybe it will be one Monday, or maybe the first of the month. Don’t put it off more than that or it’s easy to start losing motivation. It’s not going to always be easy. It wouldn’t be a BIG GOAL if it was always easy. Expect challenges, prepare yourself for them, know it’s not going to last forever, and commit to it 100%! Realize there will have to be sacrifices. You will have to say no to a lot of things. Prepare for this ahead of time and realize it’s okay. As you are setting your financial goals, be sure to have an end date! Goals are hard to keep tackling when those hard moments happen if there is no end in site. When we paid off our mortgage, I knew both. I knew how approximately how many months it would take to pay off our mortgage and I also saw the dollar amount owed decrease each month. Saving up $10,000, $25,000, or $100,000 is daunting! Sometimes, even the thought of $1,000 is overwhelming. It might seem like you’ll never get there. To help keep the end in site and the momentum going, break your goal down and celebrate the mile markers along the way. It doesn’t have to be anything big (you are on a budget after all). Do something your family would enjoy that doesn’t cost much (or any) money. Keep the goal in front of you! Don’t shove it in the back of your mind where you will forget it. Make a paper chain with one ring for every thousand dollars. When you put in $1,000, remove a chain. Draw in outline of whatever you are saving for or paying off and section it into parts. Divide your total needed by the number of parts on your outline and color in a section each time you reach that amount. Having even simple visual reminders and being able to see the progress can keep you motivated! Plan something fun that you want to do when your goal is 100% met! 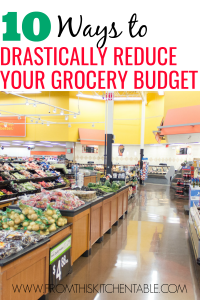 Buy everyone’s favorite foods at the grocery store that haven’t made the budget cut the last year. Make it fun and something to look forward to. When we payed off our house the kids were just turned 5, almost 3, and I was 9 months pregnant. I was all about keeping things simple. My family loves pizza, so we celebrated with homemade pizza with pepperoni in the shape of a house and a cookie cake the kids helped decorate with a house made from sprinkles. Super simple and cheap but my young kids though it was the neatest thing ever. 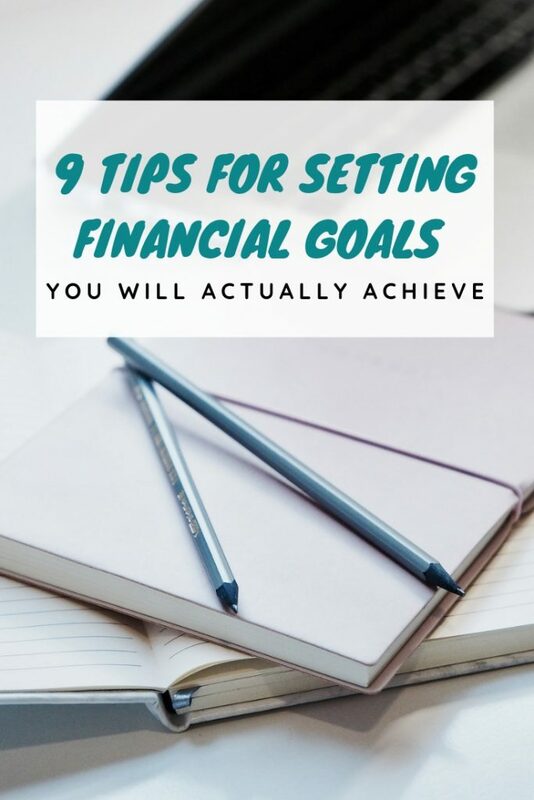 Don’t expect it to be easy, but with these 9 steps on how to set financial goals you can select a goals and start tackling it with confidence! I’m cheering you on. I’ll never forget that moment we sent that last payment and again when it was posted on our lender’s website that we owed $0! Do you have any tips for successfully setting financial goals? What goals that you are trying to nail this year? This entry was posted in Finance on April 19, 2019 by Deanna Michaels. 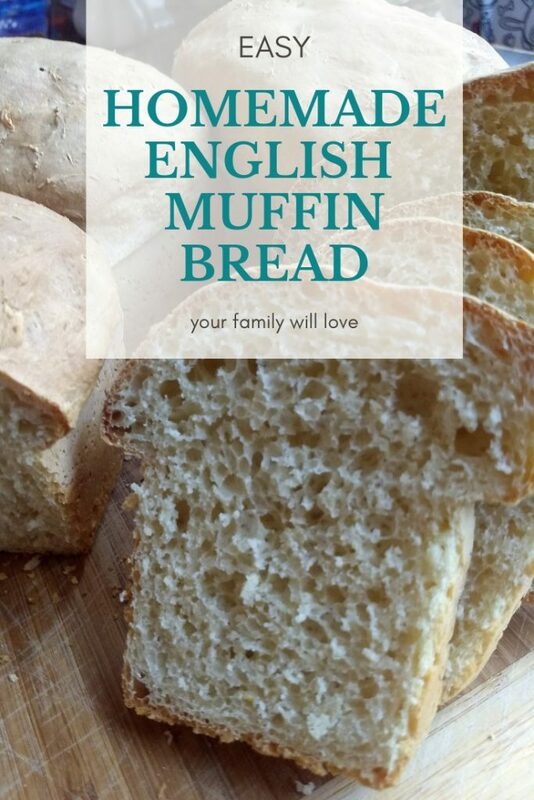 Do yourself a favor and add this English muffin bread recipe to your repertoire! Bake up a few loaves, slice, toast, butter and enjoy! We love having this with soups and for breakfast. You can turn it into breakfast sandwiches, serve along side eggs, or simply enjoy spread with your choice of toppings. Affiliate links are used in our posts. See the disclosure page for more information. I’ve made traditional English muffins before and they are delicious but I’m all about saving steps and therefore saving time! Those minutes add up when we are taking care of our kiddos and trying to get all the things done. That’s where this bread comes it. English muffins without the shaping, griddling, flipping and all that. Side note, have you ever wondered where English muffins came from? I was curious so I Googled. Wikipedia says that there were references to English muffins as early as 1850. But English muffins were “officially” invented in New York by a man who moved there from England and started his own bakery! This man was Samuel Bath Thomas. Ever heard of Thomas English muffins? Yep, that’s him! 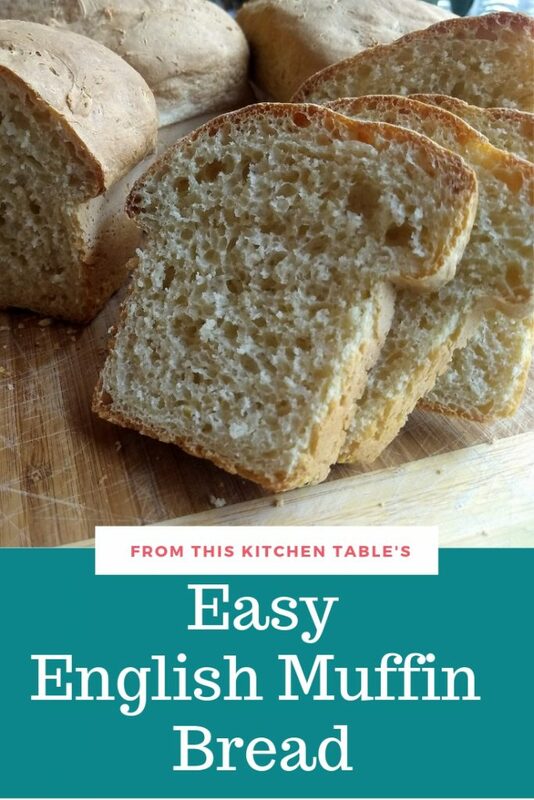 Now, back to this English muffin bread recipe! This recipe has ingredients you should have on hand. Flour, yeast, sugar, salt, milk, water, and baking soda (to help with the holes in the bread). 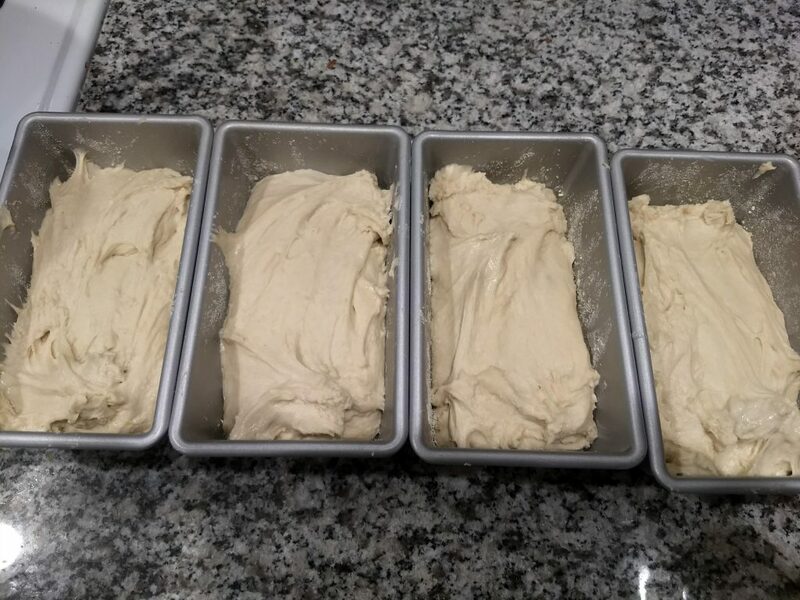 This dough is very sticky, it will not be like a traditional bread dough, so don’t add too much flour! You dump it into the pans and spread the dough out. See the stickiness of that dough?! You will need to make sure you have prepared your pans properly, besides you need cornmeal for the traditional English muffin look! I used my USA pans (this set of 4 mini pans), spread with a little butter and sprinkled the bottom and sides with cornmeal. If you want, you could also sprinkle a little on the top before baking. I like making this in 4 small loaf pans, but you could also do it in 2 regular sized ones. If you don’t use USA pans be sure you butter and cornmeal really well! 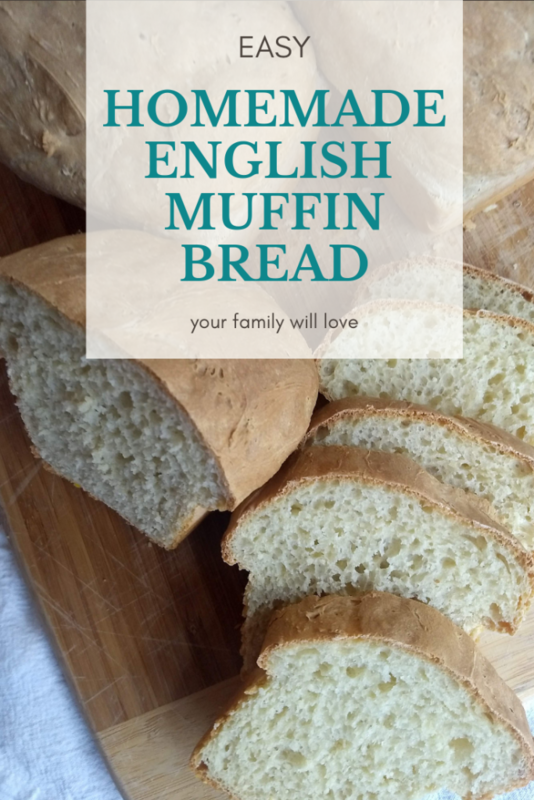 A great thing about this English muffin bread is that it comes together quickly! Hooray! I pull out my stand mixer and use the paddle attachment but the dough is soft enough that you can easily make it in a large mixing bowl using a wooden spoon. Let’s get to the recipe! I hope you enjoy this as much as we do. Be sure to check out this recipe for Homemade French Bread as well – you will love it! Measure 3 c. of flour, yeast, salt, sugar, soda into large bowl or stand mixer and mix. Have 2½ additional cups of flour ready. Heat liquids in pan on stove to 120-125 degrees. Add hot liquids to yeast/flour mixture. Beat vigorously with wooden spoon until mixture is very smooth, elastic, about 5 minutes or in the mixer using the paddle attachment for 3 minutes. Add remaining flour, continue beating until smooth. Divide into equal parts. You can divide the dough into 4 parts and bake in 4 smaller pans - what I like to do, or use 2 regular sized bread pans. This entry was posted in Bread and Muffins, Food, Recipes on February 20, 2019 by Deanna Michaels. When finances are extra tight and a Total Money Makeover seems impossible, sometimes we need to look at ways to earn extra money! It very well could be we have an income problem, not a budgeting or spending problem. Discouraging, I know! 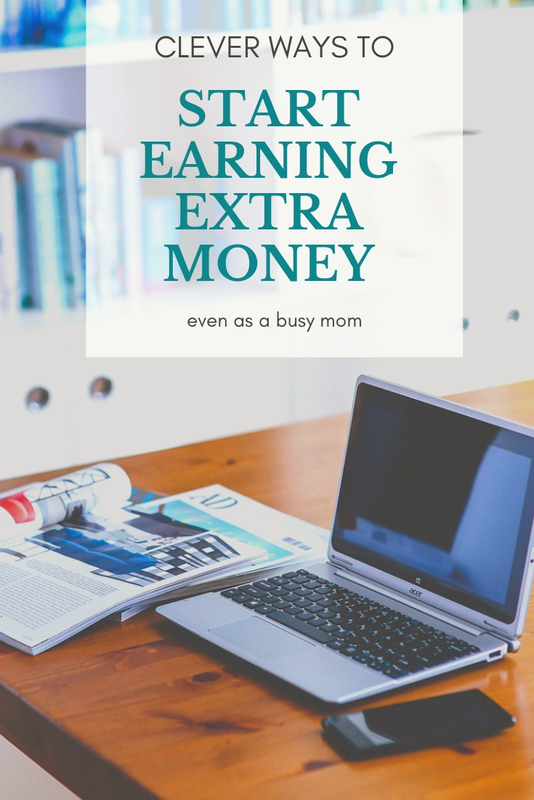 Especially as busy moms, with a lot on our plates, finding ways to earn extra money can seem pretty daunting. Little bits of extra money you earn here and there add up over the months and years! It really can make a difference in your finances. I know it has in mine. 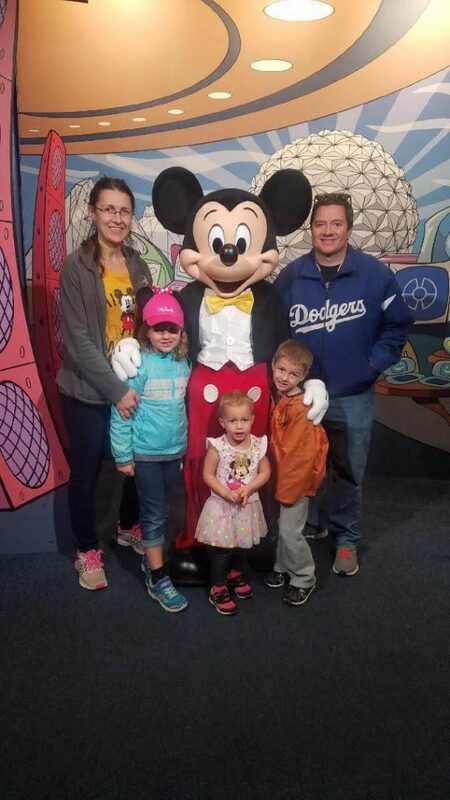 It’s how we paid off our house early, saved up for house projects, and, just this last year, took a trip to Disney World. Has it always been easy? Nope. But all the work really has been worth it. Promise. 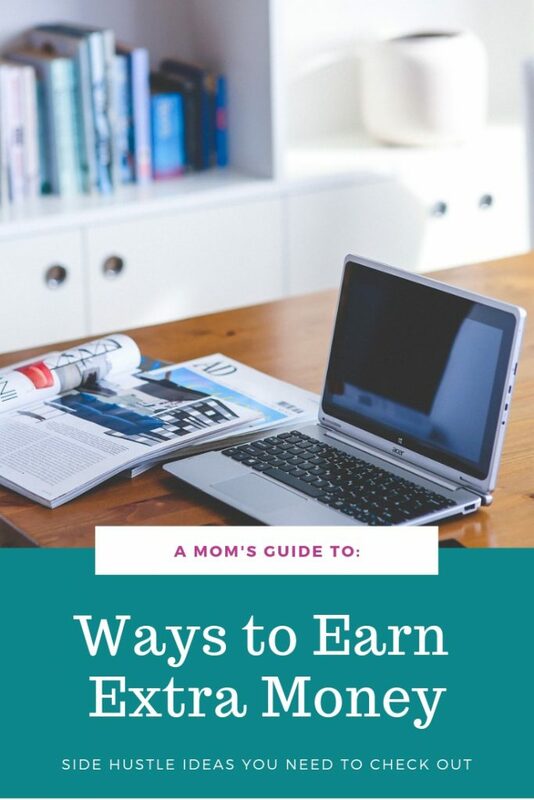 Here is a list of ways to earn extra money that will hopefully help get your brain going so you can find something that works for you and your family! 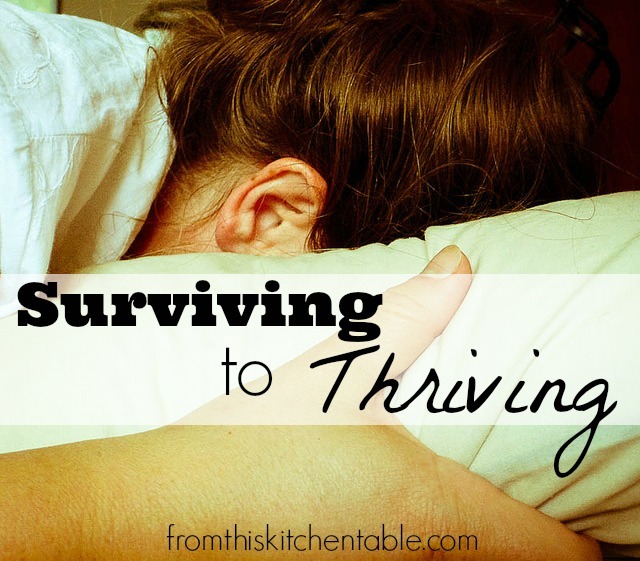 Don’t give up – it might take some experimenting! 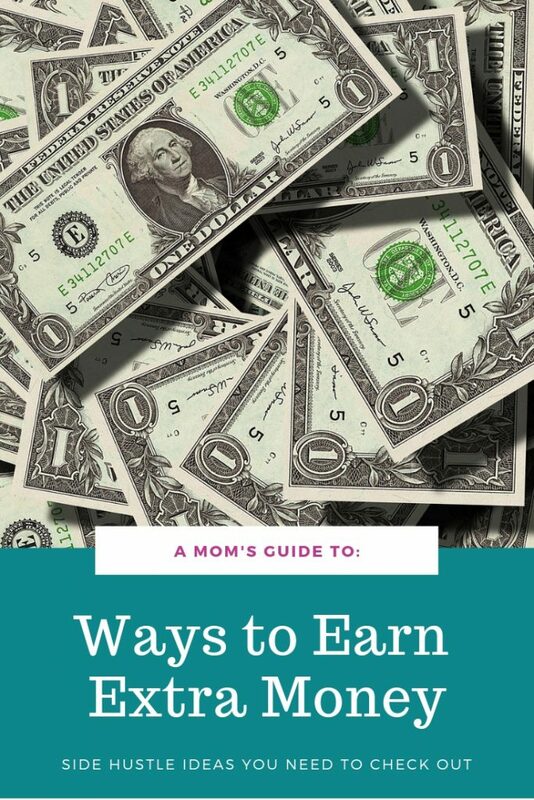 Another resource to check out is Crystal Paine’s book Money Making Mom! There are several ways to earn with Swagbucks – everything from surveys, games, watching videos, and searching on the internet. You can see some of the details on earning Swagbucks here and here. Sign up using my link and you can get 300 Swagbucks! When you earn Swagbucks you can purchase gift cards from many retailers. Amazon is one of my favorite ones to buy. I love that you can start buying gift cards with 300 Swagbucks so no waiting for an exorbitant amount of time. Use them for gifts or even supplement or food items! I know this one is hard, especially for us moms with little kids. But it is worth looking for a part time job you can work around your husband’s hours. Maybe something as simple as delivering pizza one or two nights a week or finding a seasonal weekend job at a retailer. Watch the classifieds, ask around, and also pay attention in Facebook groups. You might be surprised with what you find. Can you write, edit audio or video, record voice work, do graphic design, or any of numerous other things? Check out Fiverr! No start up cost and low time commitment to start up, so it will be easy to experiment with and see what you can offer. My husband does voice on Fiverr periodically. Skilled at organization, writing sales copy, running social media, editing? There is probably someone out there that can use your help! Check out Moms Work Hard for information. Watch your friend’s kids a couple hours after school until she is off of work. Have date night babysitting you offer monthly. I can’t be the only one that is horrible at wrapping presents and gets absolutely no enjoyment out of it. But I know that some of you love it. Sell your gift wrapping skills! Christmas time you could pick up a lot of business and during the year advertise your services for birthdays. I enjoy baking and cooking. Some people don’t. If you are skilled at baking bread, Christmas cookies, dinner rolls, fudge and so forth considering selling your goodies. Please research Cottage Food Laws for your state before you get started. Rules and regulations greatly vary. You will also need to register with your state to file sales tax. Get your kids involved and depending on the season rake leaves or shovel snow. Weeding would be another option. Print up flyers and hand them out around your neighborhood. Do you have cleaning down to an art form? Clean a few houses (or businesses) on the side each week. Businesses you could likely do during the evening hours. Especially during the holiday season, but also through the rest of the year, Individuals and business are both hosting parties. If you are a skilled organizer and hard worker, market your services as either an event planner, event host, or an event assistant. Christmas or New Year’s parties, baby showers, birthday parties, work events and retreat and more could use your services. Are you skilled behind a camera? Look into doing photo shoots! I know the market can be hard to get into in some areas, but start with your friends and family and give them a discount as you build your portfolio. Even if you just do this once or twice a month, it will add up. Can you sing or play an instrument well? Considering giving weekly lessons! Set aside one afternoon each week to teaching. My sister gives lessons each Tuesday afternoon and evening. If you are just getting started make sure your prices are competitive. If this is your talent, there are so many people that need you! Whether an individual designing an invitation or large or small businesses. Businesses needs logos, graphics for social media, business cards, presentation and so forth done with a professional look all the time! You can save them time and give them a better result with your services. Think about what other skills you have. Are there ways you can market your skill and sell it to others? We’ve already talked about babysitting, baking, photography, graphic design and cleaning. That is just the beginning. I know people that are talented artists and get hired to paint murals on bedroom walls. Think about what excel at doing and how you can market that talent. I dare say the majority of us have too many things. What do you have that is quality and something that others will want? Places to possibly sell are Ebay, Facebook groups, declutter.com, or even a garage sale. This is an immediate way to earn money and you will also be organizing and decluttering items you don’t use – win win! Some people take this a step further and find things on clearance or at thrift stores or garage sales that they know they can resell on Ebay for a decent profit. I’ve never done this but I have a sister that has sold plasma to save money for gifts and other fun items she wanted. This won’t make you rich but would allow you to save up a dollar here and there as you take surveys. Swagbucks, as I mentioned above, has surveys but also check out places like Pinecone Research. Here comes some bonus tips that save/earn you money. Try using Fetch Rewards (use referral code: XF5MX to get 2,000 points for signing up) to scan your grocery receipts and earn a few extra pennies each time to head to the store. Check out Ibotta (receive a welcome bonus for using my link) and Checkout 51 for coupons on items you are already purchasing. We love Ebates. Don’t go and buy something you weren’t already planning on but anything you are buying online, check and see if you can go through Ebates. We use it when booking hotels through Hotwire, when we need to make purchases from Lowe’s, Wal-Mart, Vitacost etc! It’s nice to get even the small percentage back. Join Ebates through my link and spend at least $25 and you’ll get $10! One of the best ways to “earn” money it to find ways to spend less and rework your budget! I’d say it’s one of the easiest ways as well – because it doesn’t involve finding extra hours each week to work. But it does take discipline to say no to those little splurges. Make a menu plan and spend less on groceries, say no to coffee, drink water, have a no spend challenge. Here are some ideas on ways to save even on a tight budget! What ways to earn extra money are your favorites? Anything else to add to this list? Pick a few of these small ideas and one of the bigger ones and give them a try! See how much money you can earn in the next 6 months. This entry was posted in Finance on February 13, 2019 by Deanna Michaels. During our recent Whole30 we made this recipe three times. We also served it with brown rice for the reintroduction phase. 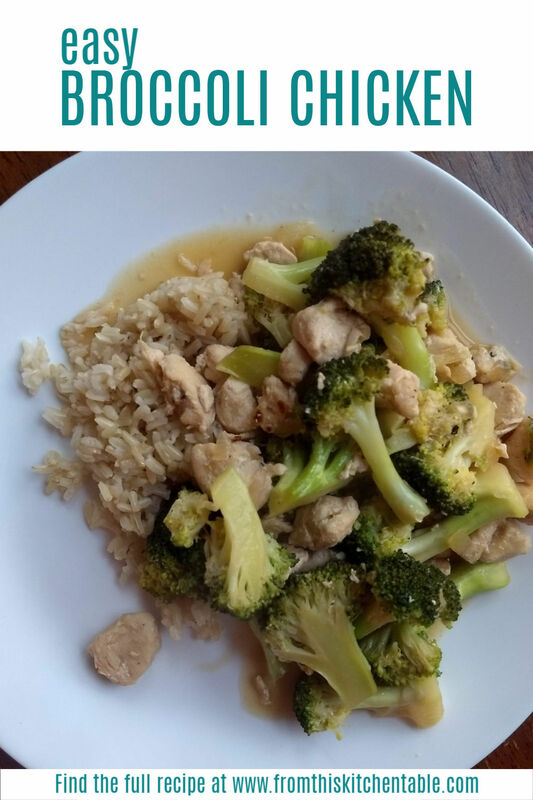 All that to say, we are fans of this easy, healthy broccoli chicken stir fry! My husband proclaimed it his favorite way to eat broccoli. Most days I don’t have hours to spend in the kitchen so fast recipes are my favorites. This one is really so simple! If you are gluten free or on Whole30 soy sauce is a no no, however coconut aminos is an option, but I couldn’t find it in our Wal-Mart and didn’t want to spend a fortune on a small bottle so we did without. Even without soy sauce or coconut aminos this recipe had great flavor. 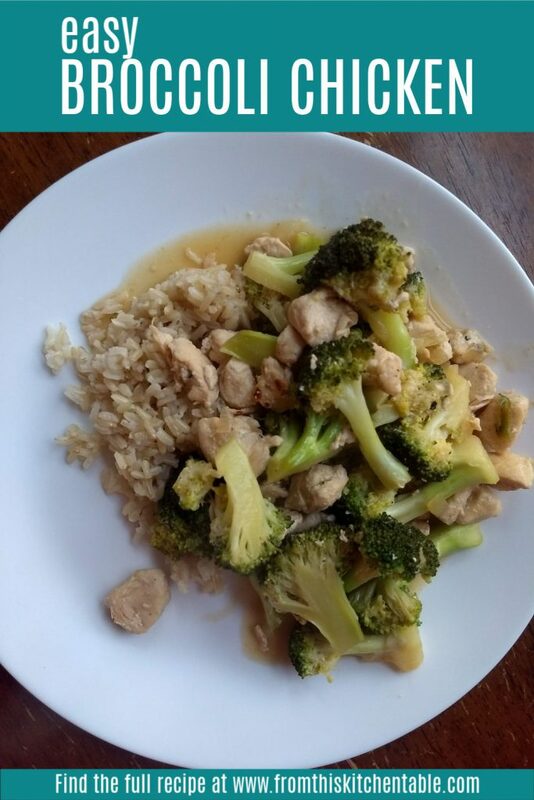 I recommend that you make this broccoli chicken stir fry without the soy or aminos and instead have the bottle of coconut aminos or soy sauce at the table to use to taste. We loved this served with either cauliflower rice or brown rice! Both ways made a delicious meal. Chicken. I used boneless chicken breasts each time, but boneless thighs would work as well. Broccoli. Fresh broccoli is the best for this recipe! I buy a head and wash and cut it myself. Onion. Half of a fresh onion, diced! Garlic. Don’t skimp! Get two large cloves of fresh garlic. I love to use a microplane to grate it. Ginger. Buy a knob of fresh ginger. Keep what you don’t use in the freezer for later. Again, the microplane is perfect for grating the ginger. Chicken broth. Because this recipe doesn’t use soy sauce, you need broth instead of water to get a good depth of flavor. Arrowroot Powder. You could also use cornstarch. You just need a little to thicken the liquid slightly. Rice Vinegar. Rice vinegar is so good! I love using it in pretty much all stir fry type dishes. Coconut Aminos or Soy Sauce. Totally optional. We did without during Whole30. Sambal Oelek. I love adding this chili paste for an extra kick! Cooked Rice or Cauliflower Rice. Choice one to serve the broccoli chicken stir fry on. Both are amazing! How many does this serve? My family of 2 adults and 3 kids got one meal out of this recipe. It would depend, also, on how much caulirice or brown rice you served it on and if you had any sides. P.S. The other recipe we ate weekly on our Whole30 were these amazing baked crispy chicken thighs! Cut and wash the broccoli. Heat a couple of tablespoons of oil in a large skillet over medium heat. Place the chicken and diced onion in the hot pan. Cook a few minutes and then add the garlic and ginger. Continue cooking until the onion is tender and chicken almost cooked through. Add the broccoli and continue to cook. Meanwhile, combine the chicken broth, arrowroot power, and rice vinegar. Pour over the broccoli chicken mixture. Cover the pan and cook until broccoli reaches desired tenderness. Remove from the heat and add 1 tablespoon of sesame oil and salt and pepper to taste. Serve over prepared brown rice or cauliflower rice with soy sauce, coconut aminos, or sambal oelek if desired! This entry was posted in Food, Main Dish, Recipes on February 6, 2019 by Deanna Michaels. It’s February. In our house that means birthday season begins and Valentine’s Day! 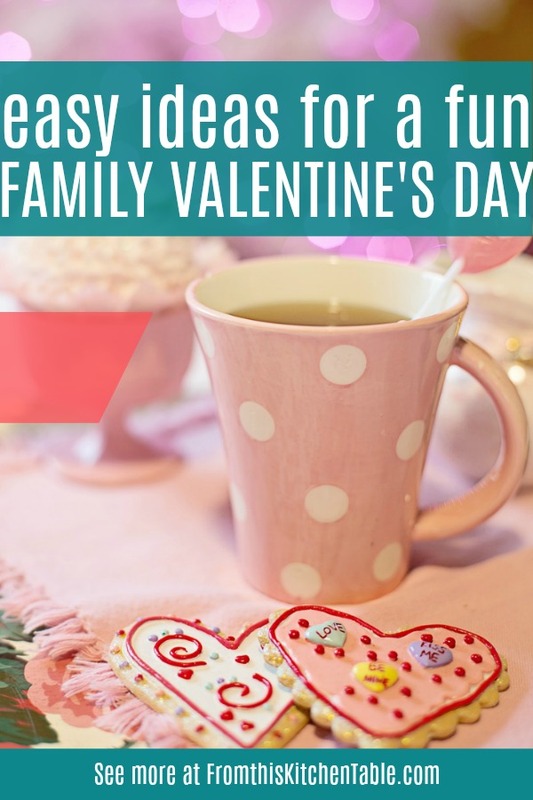 Let’s chat easy Valentine’s Day party ideas today! I’m not big on Hallmark holidays or gimmicky events, but I have kids and they like to enjoy life. If your kids are in school, I’m sure they have a Valentine’s party or two. We homeschool so our Valentine’s celebrations, beyond what we do as a family, consist of handing out cards in Sunday School and giving treats to some of the elderly members. After years of talking about it, this year my daughter is going to have a simple Valentine’s party with a few of her friends! 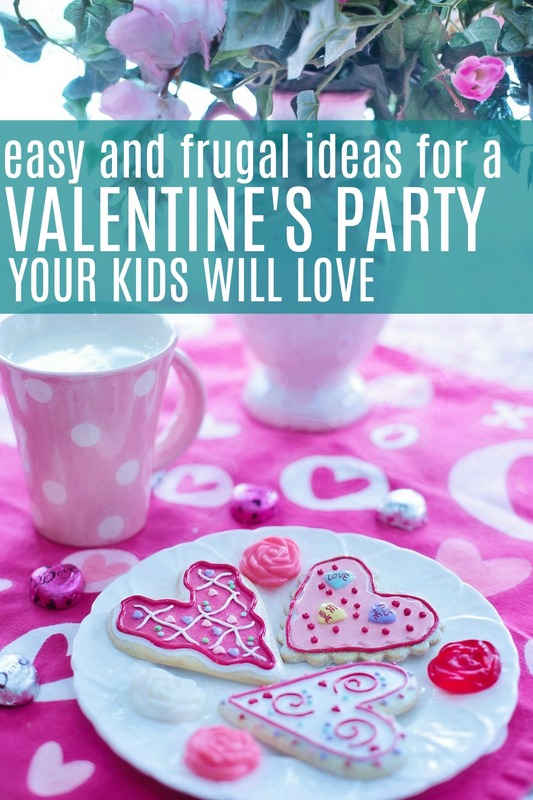 Now that we got that out of the way, let’s get into these Valentine’s Day party ideas that are both easy and budget friendly! Double win. If I can do it, you can do it – trust me! Let’s start with the guests! Coming up with a reasonable number of kids to invite is a great way to keep things simple and frugal. If you have a lot of kids, maybe let them each invite a certain amount of people. If you have one child that’s “hosting” the party, you could just have 3 or 4 other kids over. Keep it simple. The kids don’t need it to be elaborate. Just decorate the table and area where they will be eating and call it good! We picked up some window clings and a banner on clearance a few years ago and the kids love putting them up each February. 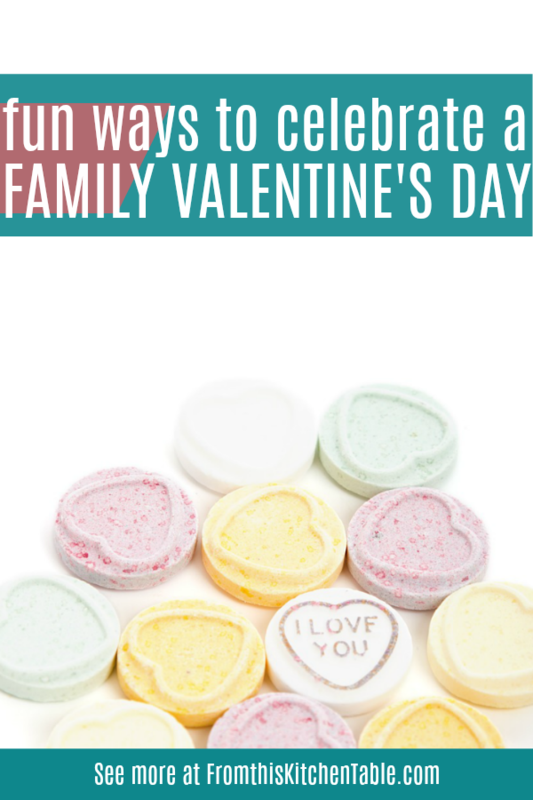 Pick up a white, red, or pink tablecloth and some candy hearts or confetti to sprinkle on the table and you are good to go! You could set the table with glass dishes for a “fancier” look or pick up themed plates from the dollar store. If you ask my kids, they would say this is the most important part! They get so excited thinking about what they want to eat it’s comical. I have two simple food ideas for your Valentine’s party. Let your kids choose between them each year. Remember that less fancy appeals to more palates – especially when your kids are young. So don’t go crazy! Almost every child loves pancakes. Make up a big batch of pancake batter and cook them fresh for the party. You could even get fancy and make them in heart shapes. I know my 8 and 5 year old are obsessed with shaped pancakes. Of course have syrup set out. If you wanted to get extra fancy, put out a dish of whipped cream and some sliced strawberries. You really don’t have to even do anything else. Sure, you could add some fruit or bacon or sausage but honestly, it’s a party for kids – so you don’t have too! You can serve juice or water for drinks. This will be a huge success! Make pizza dough (my recipe is here) and pizza sauce and prepare all of the toppings ahead of time. Have a pizza station set up on your table or kitchen counter and give each child a lump of dough and have them roll it out. Put it on a baking sheet and let them add toppings. Then it’s time to bake and eat! They will think this is so much fun. Again, this is a party for kids. Don’t worry about the sides. If you really want something, put out some carrots sticks but I think they’ll be thrilled with just the pizza. We’ll talk about dessert coming up! It gets to play dual purpose! Have one or two simple activities. Maybe an easy craft and then dessert. Pick up a pack of small canvases (5×7 or 4×6 is fine) at Hobby Lobby with a 40% off coupon and a bottle of red or pink paint (or even blue)! Raid your craft supplies for some heart stickers and have the kids make a canvas like this to take home. Combine dessert and an activity into one. Have heart shaped sugar cookies already cut out, baked, and cooled. Prepare little bowls of frosting (and sprinkles if you’d like) and let the kids all decorate cookies! They can have a few to eat and then also bring a small plate home. That’s it! 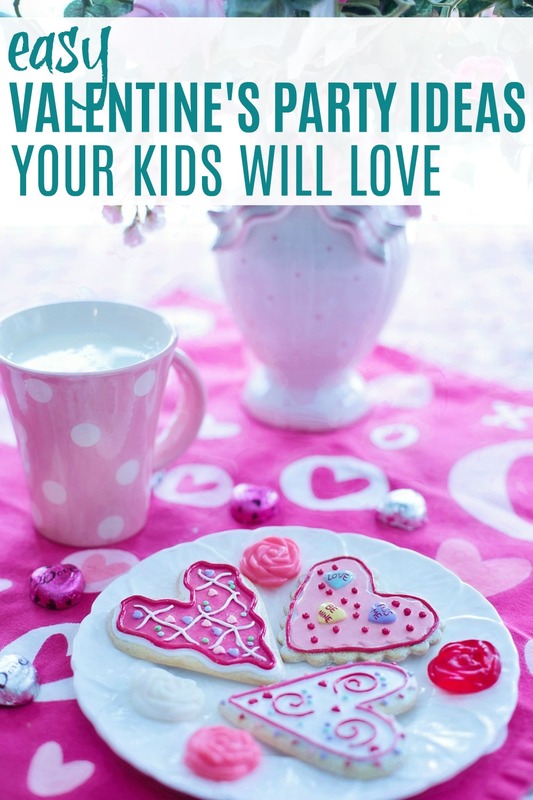 With these easy Valentine’s Day party ideas you will be mom of the year! Simple decorations, some kid friendly food, a few friends and an activity or two and your kids will have a blast! If your kids are a lot older or younger than mine, adapt the ideas to work! Older kids will know what they do and don’t want to do. A movie night might be more their style or simply hanging out with friends. Kids a lot younger, keep it even simpler! I hope your party is a success and stress free! Do you have any favorite Valentine’s Day party ideas to share? Leave them in a comment! This entry was posted in Family, Holidays, Valentine's Day on February 1, 2019 by Deanna Michaels. I am a huge fan of reading! It keeps your mind thinking and learning and allows you to see things from other’s perspectives. I set a reading goal for myself last year and didn’t come close to making it. Affiliate links are used in this post. For more details, see the disclosure page! But that’s okay . Because after several off years, reading again became a habit and I made it through many good books. So that is a success. This next year I hope to read at least double and am currently making good progress. As you are choosing books to read, I suggest selecting a variety of genres. I’m reintroducing children’s literature into my rotation and so enjoying it. It’s been so great to re-read some of my childhood favorites. This list does include a lot of non-fiction but I’m hoping that this year I can increase the number of biographies I read. After the list, I’ll share a few of my favorites from the the past year. Most all of these books are worth reading, but I have a few that come to mind I enjoy talking about. Let’s get to a few favorites. I loved, loved, loved Reading the Bible with Rabbi Jesus and Misreading Scripture with Western Eyes. My eyes were completely opened to how I have been reading the Bible with my own limited Western view. There is so much there that we miss out on when doing that! I learned so many things and I want to learn more. I highly recommend every believer read these books. I also very much enjoyed Lady of Arlington. Yes, it was the only biography I read, but it was so interesting. I knew nothing about Mary Lee and basically nothing about Robert E Lee so it was like meeting and getting to know someone for the first time. Mary was a pretty amazing woman. Paul David Tripp’s What Did You Expect was excellent! So convicting. I have his book Parenting on my list for 2019. Different was an encouraging read as you parent kids who have their differences. It’s an especially important read for parents with kids who have a lot of different diagnoses – OCD, ADD, ADHD, etc. It’s written by Sally Clarkson and her son Nathan who grew up struggling with being different. I also discovered that I have a soft spot for children’s novels and rereading them and adult classics I read as a child. They are such a good comfort read. They made me feel at home and happy. Most of my childhood/teen rereads were better than I remembered! Just Mercy was a hard, good read about inequality and unfairness in our justice system. It is one of those reads that makes you sad and angry. If hospitality is something that you are wanting to pursue this year, Just Open the Door is a great book! Hospitality doesn’t have to be flashy and impressive, just open your door where you are at. 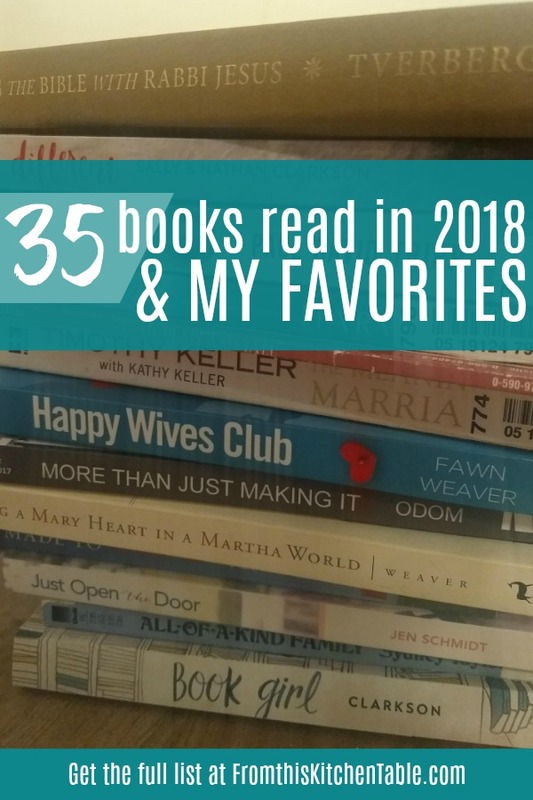 What were your favorite reads of 2018? 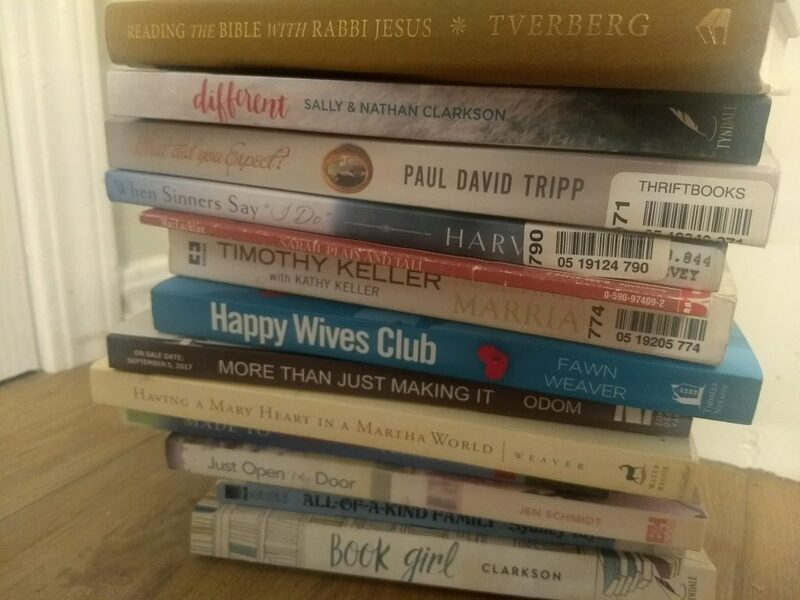 For some other great books, check out this list of my favorite reads from a few years ago! This entry was posted in Home on January 30, 2019 by Deanna Michaels. 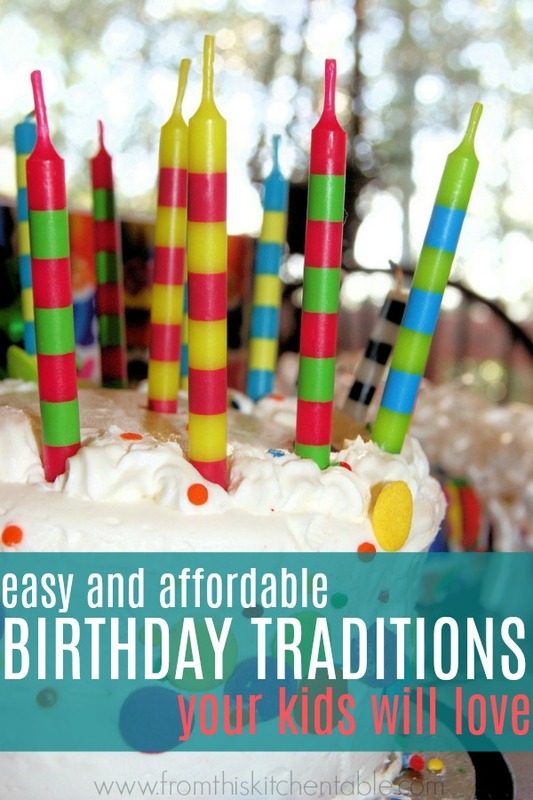 Here is a great list of birthday traditions that your kids will love! Fun ideas that are also cheap and easy and don’t involve a party. Whether you do a big birthday party with friends or not, these suggestions will help make your child’s birthday special. I love finding simple ways to celebrate and make memories. The easier and more affordable a birthday celebration is, the more doable they are to keep up with year after year (and kid after kid). Being on a tight budget and not having money to spend doesn’t mean a birthday can’t be special. You can still find ways to make your kids feel important. 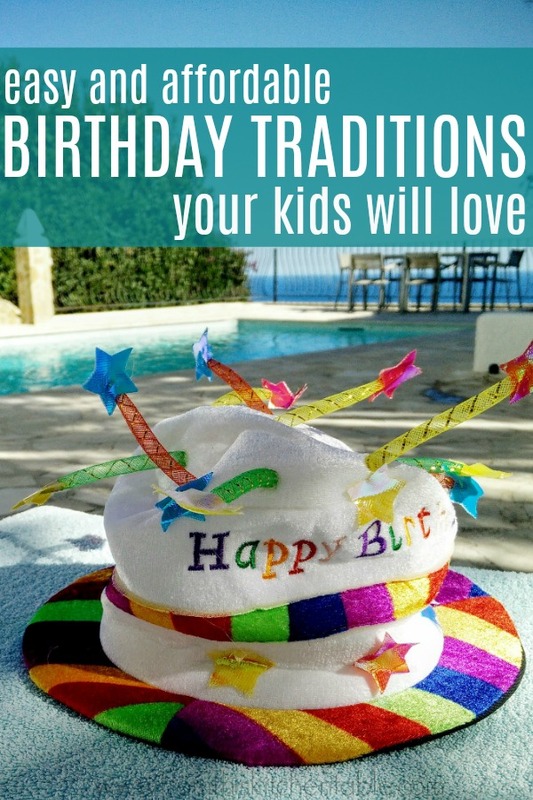 I think your kids (and you) will love these new birthday traditions so much they will want to continue them even year after year (if you are throwing a huge party). 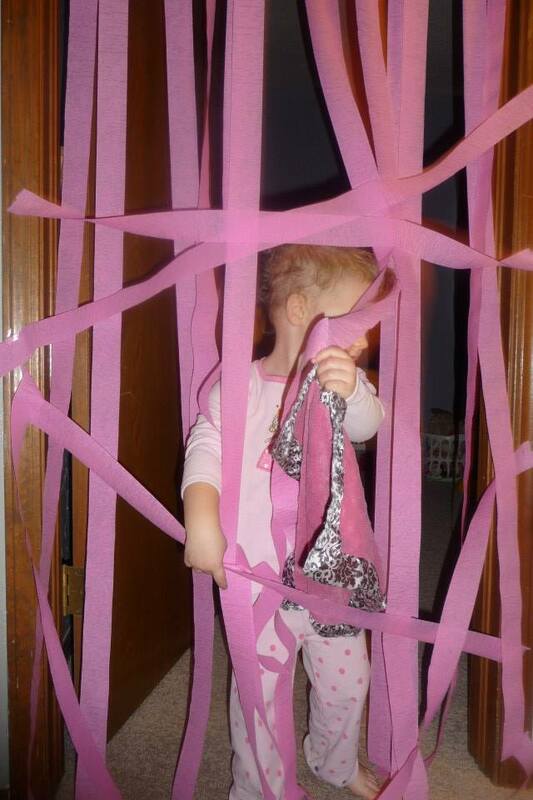 Have streamers either hanging down from their bedroom door frame or taped across it (and they can break through) to greet them when they wake up. Again, while they are asleep, blow up dozens of balloons and scatter them around their bedroom floor. Let your birthday boy or girl pick what they want you to make for supper – main dish, sides, and dessert! 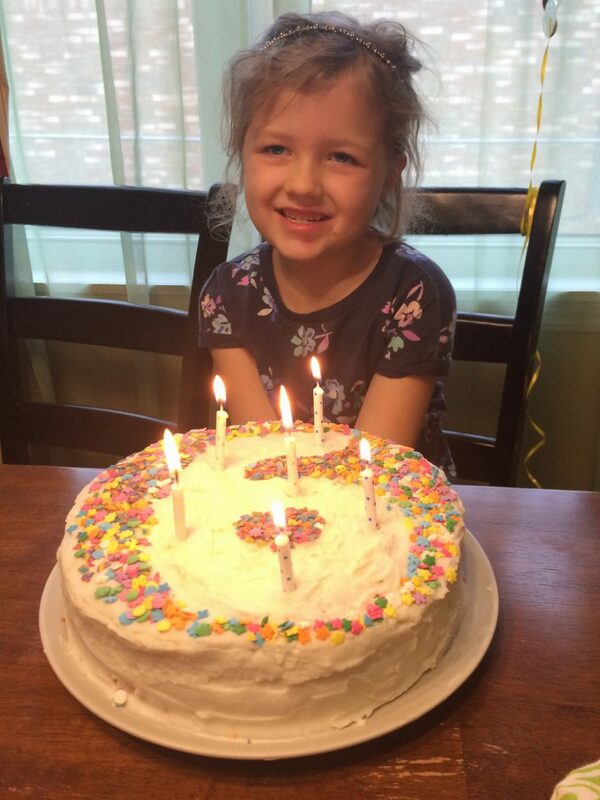 Side note, it’s perfectly fine if your child doesn’t want a traditional birthday cake. There’s a lot of kids that don’t love cake. Let them choose what they want. Growing up we had a lot of crazy chocolate cake, angel food cake, Mississippi mud pie along with other assorted desserts. 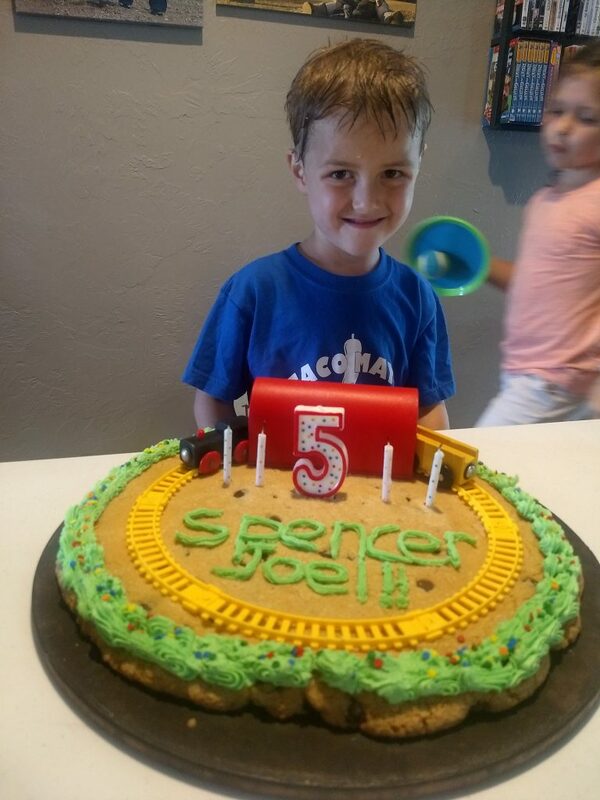 Both of my older kids’ current favorite birthday dessert is a cookie cake. Have a special “fancy” plate that you only use for a birthday child or other special occasions and let them use a fancy cup. It’s all about making the child feel special. For a “special” plate, it can really be anything. Growing up we had a big blue pottery plate. What we use now is a Pioneer Woman dinner plate (without any flower print) that we bought at Wal-Mart. I loved this as a kid and now all three of my children have to do it this way too. Instead of simply putting the presents in a pile for the child to open, hide the presents (in age appropriate locations) and let the child go and hunt them down and open them after all the presents are found. The nice thing about this is that it extends the present opening time that otherwise goes way too quickly. Have dad (or mom) take the birthday child out on a date around their birthday. Dress up fancy, go to the restaurant of their choosing, and again make them feel special. Keep the phone put away and really focus on them. Have a birthday banner that you put up in the dining room for every birthday! It’s not a decoration that will be destroyed so you should be able to use it birthday after birthday. Each year, on their birthday, write a letter to your child from ages 1-18. Keep the letters together and gift them to your child when they turn 18, or move out, or have their first child. At the birthday dinner table have everyone take turns sharing their favorite things about the birthday child. You could also share favorite memories from the past year. Do something that child loves. Whether it’s finishing the day with a game or movie night, going to the park, taking a walk, or heading to the tennis court do what that child enjoys! Have a silly birthday hat that the child (or adult) has to wear at the dinner table! A goofy tradition is always a fun idea. Amazon has several options like these. Take some time each year to pull out the photo albums (or open up Google Photos) and look back at their pictures from over the years and reminisce and laugh and share stories. You can tell the child part of the story surrounding when they were born. Kids love re-hearing these stories over and over again. This entry was posted in Family, Holidays on January 25, 2019 by Deanna Michaels. Dare I say, you’ve been teaching kids about money since they were born. When you think about it, what we actually do has much more influence than what we teach, lecture, or discuss. 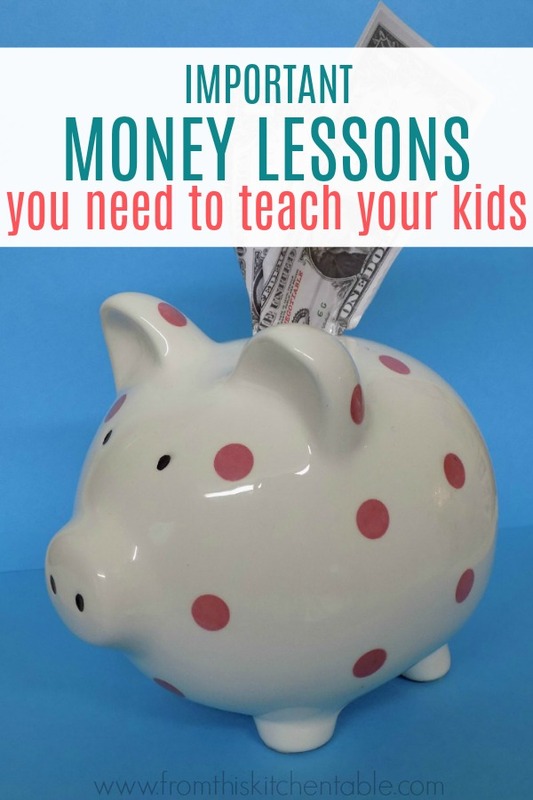 Money lessons we teach our kids are no different. The most important way to teach your children about money is to lead by example. Everything else will fall into place. Let your child see you budget, discuss finances, save up for a goal, work hard to pay off debt. Let them see you say no to buying something because it’s not in the budget or is not what you are choosing to spend your money on. If you are trying to teach your child to save but they see you buying everything that you want, they will see the hypocrisy. If you buy more than you can afford and take out loans or make payments, they will grow up thinking that’s the answer. Getting your own finances in order is the first step! Total Money MakeoverIf you don’t know where to start, is a great book to read. As they see your healthy relationship with money, there are other things you can do to teach your children financial responsibility. If you are a believer, this step is a foundation to teaching kids about money. Everything we have comes from and belongs to God! Isn’t that a scary thought? The Bible says “the earth is the Lord’s, and all it contains”. When we use our money wisely, we are using God’s money wisely. As you talk to your children, make sure they know that everything is the Lord’s. Even as a preschooler, your child will start picking up on things like price comparisons, saying no to purchasing a food item because there’s not enough money in the grocery budget, and that wanting an item doesn’t mean we need to purchase it. These little weekly, if not daily, occurrences are being observed and taken in by your children with no extra work by you. Talk to your children as you are shopping so they know what you are doing – turn it into a money lesson and interactive experience. My parents taught us how to tithe before we could work! Growing up, when we received birthday or Christmas money we got to tithe on it. My kids now get to tithe on their money and will even give beyond the 10%. Saving money is a part of life. Always will be. This is a skill even a born spender needs to learn. Teach your kids to set aside a portion of all the money they receive. Just because you received money doesn’t mean you need to spend it all! It’s good to learn patience and self-discipline even if it can be hard – especially when the cash is burning a hole in their pocket. For young children, consider getting a save, spend, give bank. You can simply label three clean jars (or plastic containers) or you can purchase a bank like this. There are also these cash envelope zippered pouches you could use. This is a part of saving. Teach your kids to set financial goals. Whether it’s saving money to buy that expensive toy, a laptop, camera, or even to purchase a car or go to college it’s good to set age appropriate goals. Especially for your kids that are “spenders” because having a goal and tracking their progress can help their motivation and willpower stay strong when temptations come up. For older teens, check out this list of financial goals they can consider as they move toward adulthood. Money doesn’t grow on trees. Sometimes our kids think it does. Learning to work for money helps teach them the value of money and of hard work. We didn’t get an allowance growing up instead we pitched in and helped around the house (sometimes quite begrudgingly) because we were a part of the family. We earned money doing extra jobs that weren’t a part of regular chores. Even for young kids you can come up with little tasks (that you know won’t be done perfectly) and pay for their help. This is how it works in our house now. As your children get older, getting an outside the house job is a great way to earn extra money. Teaching them to work hard as kids and do an excellent job will be appreciated by future employers and will most likely set your kids apart from most of the other employees. If you are debt free, you can still talk to your kids about what debt is and why you don’t do it. Tell them how much you would have spent on interest. If you are in debt, let your children see you working hard to pay it off. Teach them how to avoid debt and make sure that they know it isn’t required! Culture all around them is telling them that debt is an everyday part of life. Please, please don’t always tell your children yes. Your kids need to learn that they don’t need to have it all. It’s okay for them to walk away from something they think they want. They need to see you sticking to your budget even when they are begging for something. Learning to be content and to appreciate what you already have is so important. Stuff will never satisfy a person – there will always be something else. As a toddler the next flashy toy will grab their attention, Shopkins will be enough until the next fad comes out. Even as adults we are like this. Our phone is great until the newest one comes out. The same thing with cars and houses. This is something so much easier to learn while you are young, so help your children out. Once your children are living on their own, they will have no choice but to budget (or else, most likely, get themselves into a financial mess). So do them a favor, and teach them how to budget their money now. It’s a great money lesson and life lesson. As young kids it might be something as simple as: tithe 10%, spend 40%, save 50%. When they get older they may want to break down their spending and saving categories further. Once they are bringing in more money and have more expenses, teach them to write down their income and expenses and make (and stick with) a budget. Car insurance, gas money, cell phone, outings with friends, gifts, trips etc. Let them learn while you are there to assist and help. Then, when they are off on their own they will (hopefully) simply continue what they already know. 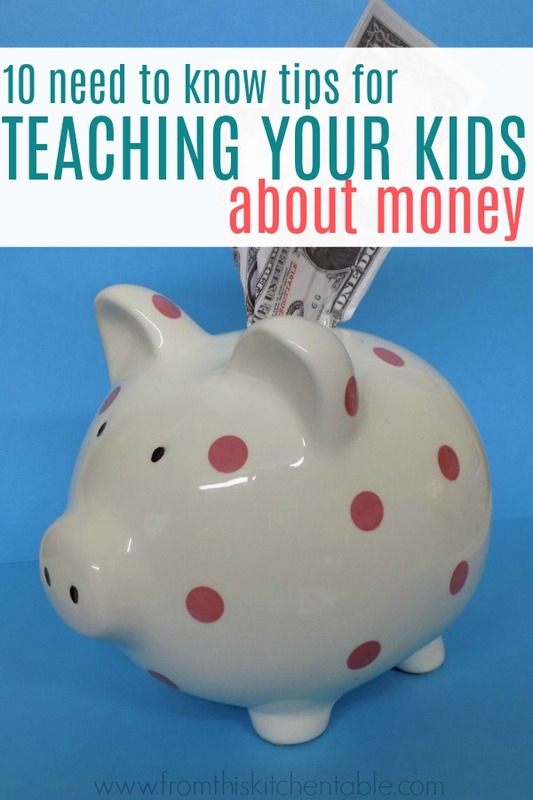 Raising our children and teaching kids about money can be a daunting task. One that we won’t ever do perfectly and that’s okay. 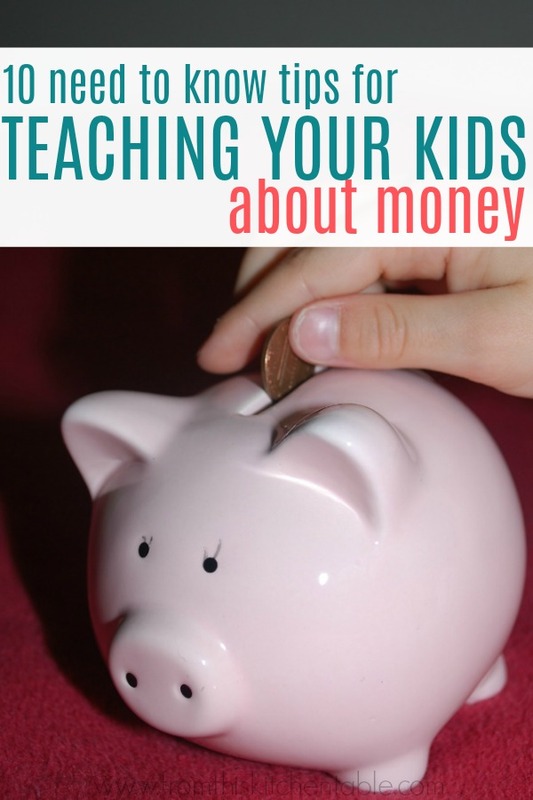 Hopefully these ideas on teaching kids about money will help as you are on the parenting journey! You don’t have to make it difficult or time consuming, just start the conversation and begin taking steps to give your children the opportunity to handle money wisely. This entry was posted in Finance, Parenting on January 23, 2019 by Deanna Michaels. Last year we took our kids to what some call the most magical place on earth. It also has to be one of the most expensive places. My husband is a Disney fanatic, so he spent lots of time figuring out how to get the most out of the parks. What resulted are some great Disney World tips. I’m the queen of living on a budget and saving money. Our budget still isn’t exactly extravagant so you might be surprised to hear we went on this trip. Honestly, it took me a while to warm up to it. We probably never would have gone at this time had it not been for a friend offering us 7 nights of free lodging. Since it was my husband’s dream family vacation, we went for it. Free lodging helped tremendously, we also applied our Christmas budget (the kids okayed going on a trip over getting presents), and put Christmas money we received towards it. We just made up the difference of what was left. 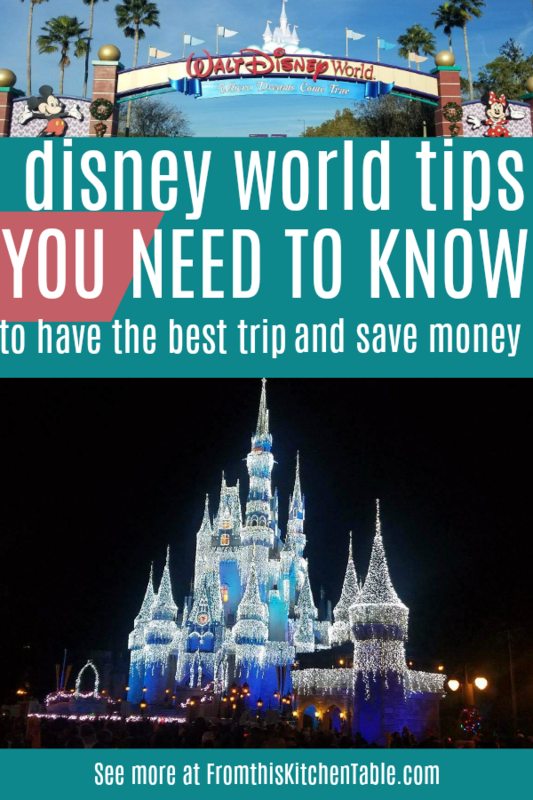 Today, I want to share with you some of the Disney World tips we found most helpful – so you can make the most of your trip and also do it as frugally as possible. My husband highly recommends this service. It’s run by mathematical geniuses who work full time analyzing stats about the crowds, the wait times, and various other planning aspects for a Disney trip. Their website has some free information but if you want to fully take advantage of what Touring Plans offers they also sell a year subscription which includes a mobile app for use in the parks. My husband used it frequently during his plannings and it saved us lots of time in lines and we were able to do more while in the parks. You can buy a membership for the standard price $15.95. He used this link to get 20% off! One of the free features Touring Plans offers is finding the best ticket prices. You can search at this page. They will check prices from authorized third party dealers to help you get the best price. You will save hundreds of dollars on all the tickets for your family compared to buying tickets from Disney direct or at the gate. Also, scroll down further on that same page for more tips on how to save money on tickets. Our tickets ended up coming from The Official Ticket Center, but depending on how many days and family members you have, it could be cheaper from a different 3rd party vendor. Important: If you buy tickets through one of the third party sellers, you usually have to exchange for the actual tickets at a park will call booth before you can enter the park. We didn’t want to take time doing this on one of our actual park days so we exchanged for them the day before when we were out riding the Monorail. Touring Plans has a free 2 month predicted crowd calendar, but with the subscription you can see what crowds should be like for an entire year. Take this into account when planning your trip! Also, use it to select which park to go to on which day. Less crowds is always a good thing. Granted, these are just predictions so sometimes they change slightly, but they are usually pretty close and you can even check their historical accuracy on the website. The crowds on our day at Magic Kingdom turned out to be a little bit higher than predicted for some reason, but overall we knew that the week we went was going to be one of the least busy weeks of the year. If you stay at the Disney resort you can book fast passes for rides 60 days in advance. If you are staying off the Disney resort you can book 30 days in advance. You will be able to schedule 3 fast passes per day via the My Disney Experience app. You’ll be able to enter your fast passes at 7am EST 30 or 60 days before the day you go to the park . Be sure to set your alarm if you want to get fast passes for the most popular rides as they will fill up fast. Some rides such as “Flight of Passage” at Animal Kingdom and “7 Dwarf Mine Train” at Magic Kingdom were already out of fast passes before we could book them. But don’t worry, later on I’ll tell you another way to ride these popular rides quickly without a fast pass. If you purchased a Touring Plans membership, you get access to this app. They give you average wait times which are more accurate than the wait times listed at the actual ride entrances. Sometimes Disney either doesn’t update the correct wait times or changes them on purpose to manage crowd control in the parks. Users can help with inputting data by timing your own wait in line if you desire. There’s a timer right there in the app. If you have a child or infant that’s too short for a ride, take advantage of using the Rider Switch option. One parent stays with the too short child/infant and the other parent goes on the ride with the rest of the group. Once the first group gets off the ride, the 2nd parent goes right on through the fast pass line with up to 2 other people. If group 1 has a fast pass for the ride, they get to use that, but if not they will have to wait in the stand by line. Rider switches are scanned on your ticket/magic band by a cast member at the ride entrance. Take this into account when scheduling fast passes! There is a big advantage to being at the park before they open. For one, the crowds going through baggage check and the ticket scans will be way faster but you will also be able to go straight to one of the big rides with little to no line when the cast members drop the rope to first let people in. This is especially helpful for those popular rides you weren’t able to get a Fast Pass to. We did this to ride the new Avatar: Flight of Passage ride at Animal Kingdom. Its also good to do this for the 7 Dwarfs ride at Magic Kingdom and will probably be essential with the opening of the new Star Wars land later this year at Hollywood Studios. One of the generous things Disney lets you do is bring in your own food. We saved so much money packing food. Sure, it might not have been the most amazing food, but it saved us hundreds of dollars versus buying food in the parks. Even if you want to purchase some Disney food, at least considering bringing your own for a few meals. We packed granola bars, fruit, vegetables, snacks, sandwiches, chips etc. Enough to get us through until we got back to our resort (at 10-11pm) each night. Store in a backpack or bag attached to your stroller. No glass containers. We also brought bottles of water, however you can get a free cup of ice water at any Disney quick service location in the park or refill your own water bottles at drinking fountains. You will save so much money buying these off site. Check out a Wal-Mart near Disney World and there will be vast options. Countless t-shirt options, hats, autograph books, mouse ears, bags, magnets, postcards, mugs, and on and on! We were surprised at how much there was. One thing our kids enjoyed buying in the park were those souvenir pennies from the machine. If you have young kids, bring a stroller. It’s great not only for the kid, but also for hauling your stuff around in. All the food, jackets if it’s cool, umbrella etc. Our youngest was 2 1/2 and used the stroller most of the time. The 7 1/2 and 5 1/2 year old did lots of walking. The only time the 5 1/2 year old used it was getting from the bus back to the car because he fell asleep. 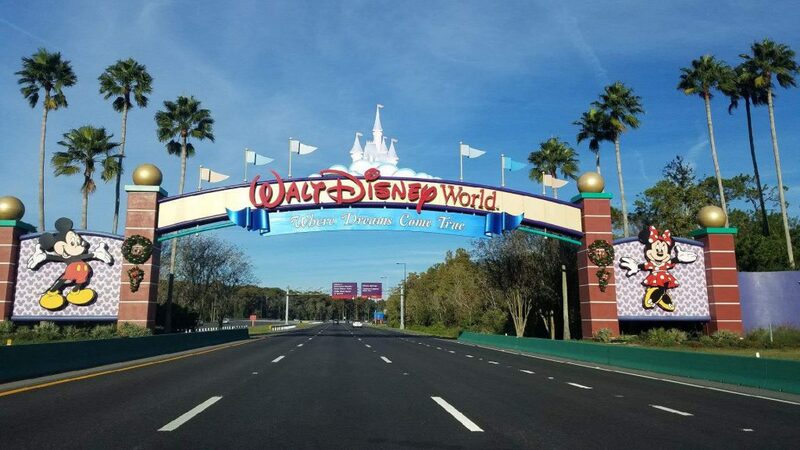 If you drive and park at Disney, it costs $25 a day! Crazy expensive – especially if you go multiple days. Staying at a Disney resort, you have access to their bus system. If you are staying off site, there is one parking hack you can use. It will add a bit of time to your commute, but you will save a lot of money. Park at Disney Springs in the Strawberry parking lot. You will want to go as far back as you can. These lots are free. Hop on the nature trail sidewalk and walk across the bridge that goes through the golf course, keep following the trail and turn right at the guest drop off area when you first get to Saratoga Springs Resort. You’ll then take a left at the first sidewalk and use the bus stop on the other side of that road. It is called The Springs. Because this is a resort bus stop, that bus will take you directly to any of the parks. Be sure to have your stroller folded before loading the bus. Why walk to Saratoga Springs instead of taking a bus at Disney Springs? If you take the bus stop at Disney Springs Town Center, it won’t take you directly to a park. It would take you to a resort and then you’d have to get on another bus to go to a park. If you have free time on a day before you go to a Disney park, there are a some free “teaser” adventures you can do. One thing is to ride the monorail. There are 3 monorail lines. The Epcot line actually goes in and around the park. You can also stop and get off to walk through the resorts it travels to. Another free area of Disney is the recently renovated Disney Springs shopping area. The Boardwalk is another nice free place to stroll through and shop or eat at. If you can plan a day off between park days, do it. If not, try and do no more than 2 days in a row. We had all 3 park days back to back (simply because that’s how it worked with our schedule) and I don’t know that any member of my family could have done 4. It was exhausting. We left where we were staying between 6:30 and 8 each morning and didn’t get back to the resort until between 10-11pm. The kids definitely slept soundly. Off days would have helped them recover, though, and we probably would have been able to make more than one rope drop. 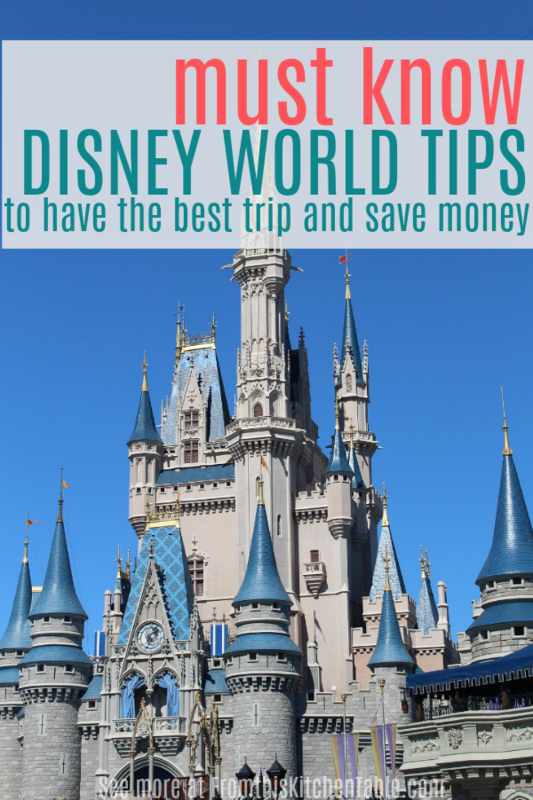 I hope these tips help you if you are planning a Disney World vacation. If you have any questions, leave a comment and I’ll try and help (or I’ll have my husband answer 😉 ). 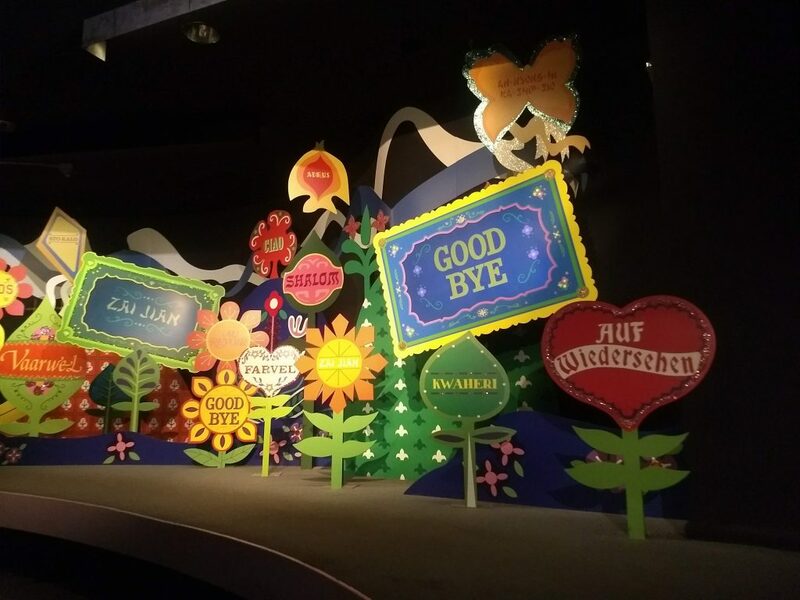 Have you done a Disney World trip before? 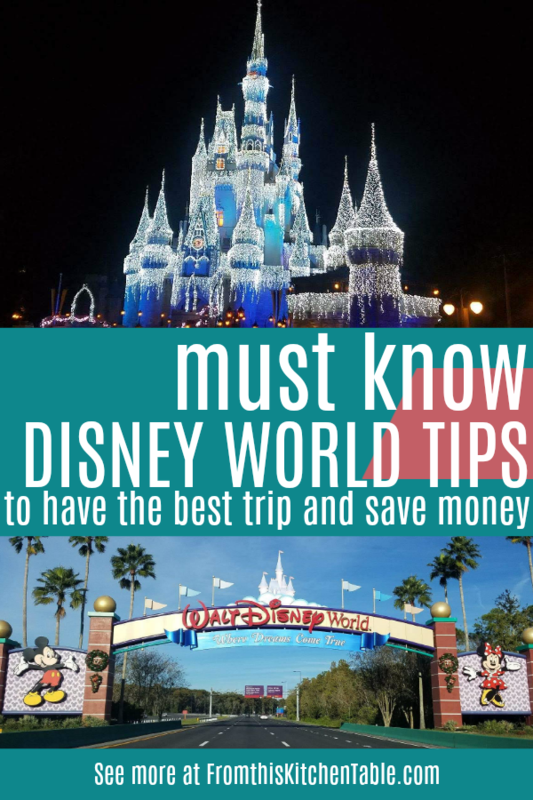 What are your best Disney World tips? P.S. 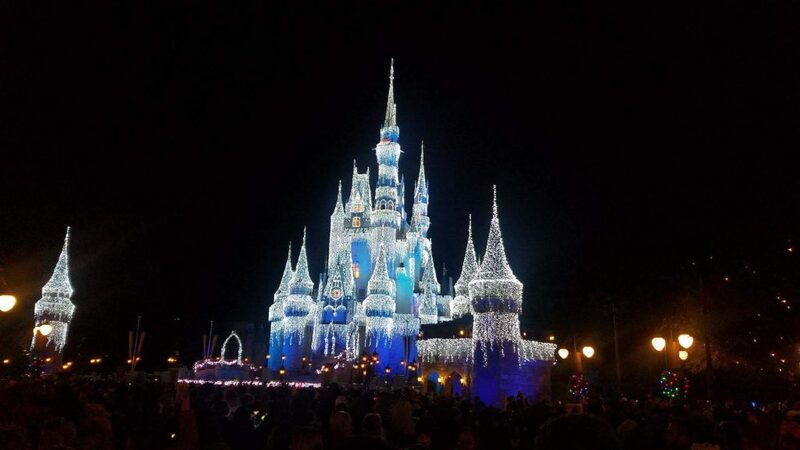 If you can’t afford a Disney vacation right now, be encouraged. The first 12 years of our married life, our trips have been to see family/with family and a few mini 1 or 2 day trips we took our kids on. 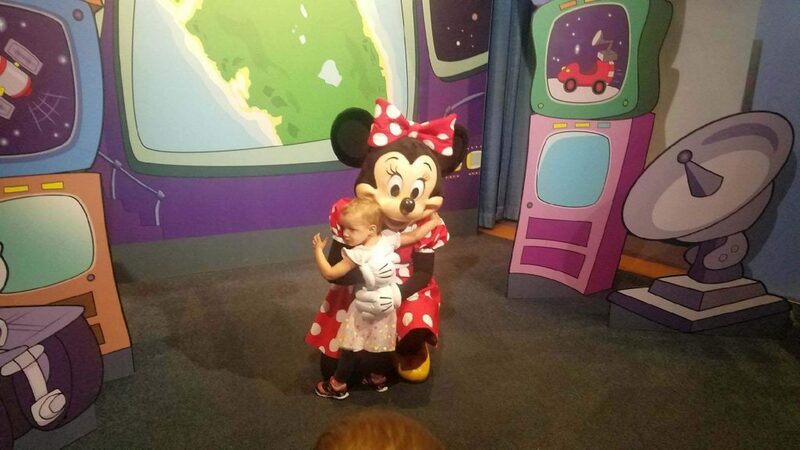 Not going to Disney doesn’t make you a bad parent. Find ways to make memories with your kids without the expensive vacation. Work on getting situated financially and then you can start saving for your dream trip. This entry was posted in Family on January 16, 2019 by Deanna Michaels.